Simply, you have to admire the Brazilians, when every little they surprise us with video like this below. Of course, we like all women, but we must admit that among them have our favorites also. 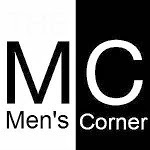 The lush, half-naked Brazilians definitely are among our beloved, and we believe you to, if the female part of this nation after a number of videos you have seen on Mens-corner.net portal, you haven't all ready made of you a beloved nation. We think it's really time to look for the cheapest flights in order to discover first-hand whether it is really so. Enjoy the video!